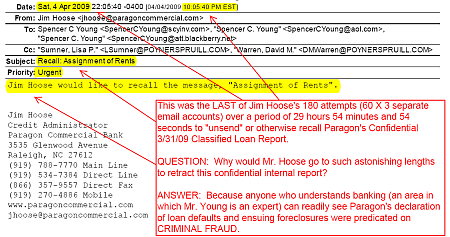 Keep in mind, this instance of bank foreclosure fraud was carried out by Paragon Commercial Bank (and their attorneys, Poyner & Spruill) at the behest of Morgan Stanley (and their attorneys,Kirkland & Ellis) as a dastardly form of cover-up, so as to deprive Mr. Young of resources and undermine his professional and personal credibility, so he could not viably pursue his now massive claims in the MorganStanleyGate scandal. Paragon's Fateful Email . . .
New Hire -- Paragon hired Jim Hoose from First South Bank predicated on his reputation as "treacherous", "duplicitous" and a "prick" as a loan administrator, with a notorious reputation for staging fraudulent foreclosures to effectively steal commercial real estate properties from unsuspecting borrowers. 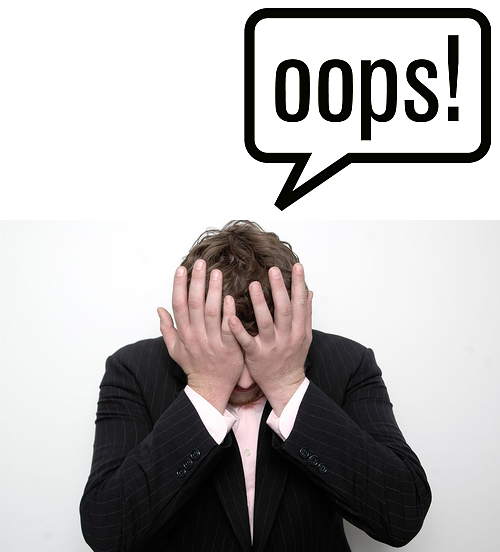 System Unfamiliarity -- As a relatively new employee, Mr. Hoose was seemingly unfamiliar with Paragon's systems (e.g. 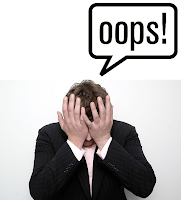 credit reporting, e-mail) which likely contributed to his BIG Mistake. 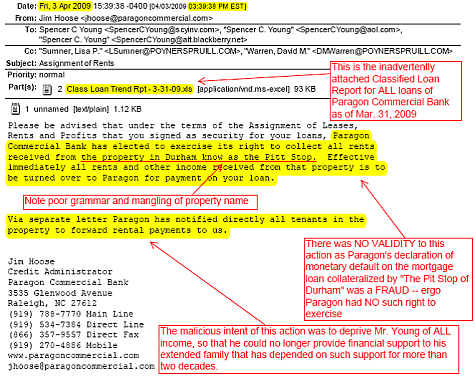 Damning Evidence -- With this background and knowledge base, Mr. Young quickly realized the magnitude of Paragon's mistake, as it proved Paragon's Foreclosure Fraud BEYOND ALL DOUBT, and then further corroborated by Mr. Hoose's desperate, but futile efforts to recover or otherwise "unsend" his Apr. 3 email . . . , which he apparently didn't realize was an impossible task. Make Mr. Young appear supremely incompetent and foster the impression that he had abandoned ALL of his loved ones, and in so doing, cause complete and utter family dysfunction and estrangement. Cause Mr. Young so much personal strife such that he go insane, commit suicide, or if necessary, assassinate him through some staged assassination. So how does this report expose this diabolical plan? Read on. 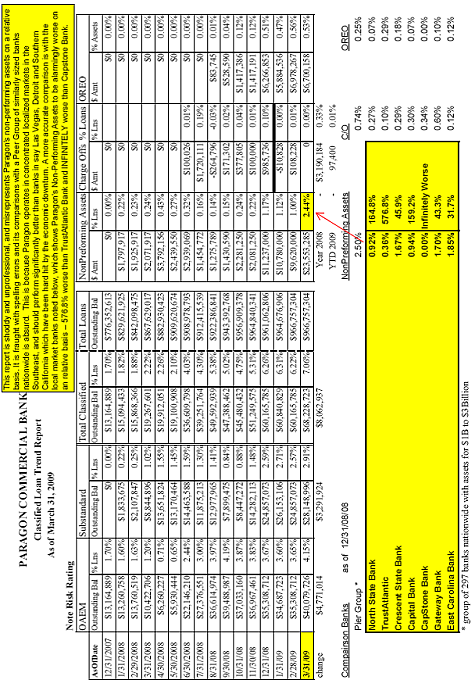 The Trend Summary of the Classified Loans Report for Paragon Commercial Bank as of March 31, 2009 is reflected in Figure 2 with comments that reveal not only the shoddy and unprofessional analytics, but a grossly flawed conclusion and attempt to cover up the fact that the quality of their portfolio is far worse than their REAL peer group. Observation: It seems as though Paragon has cultivated a culture whose foundation is built on fraud and deception. Given the low leverage nature of the loans and the fact that they have always had an exemplary payment history, the subject loans should have been risk-rated 1, 2 or 3 throughout their terms of existence. Notwithstanding point # 1, a risk rated loan of 6 is still NOT an “adverse”, nor “classified” loan and a loss is not expected, and therefore most certainly NOT a loan a bank would have declared in monetary default weeks earlier and was already pursuing aggressive foreclosure. 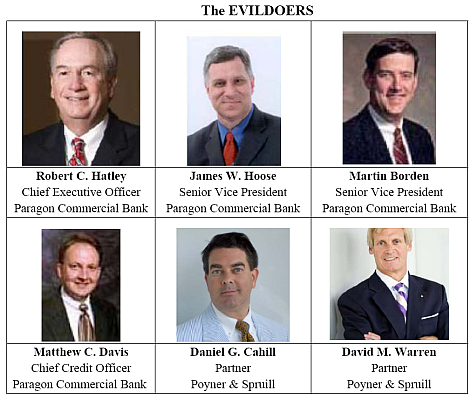 The report shows that at the time Paragon declared the FRAUDULENT monetary defaults, (3/3/09) the loans were risk-rated 5 or lower (ie., better), and no legitimate bank would ever default and foreclose on a risk-rated 6 loan. Bank regulations may even forbid foreclosure on loans that are risk-rated of 6 or lower. 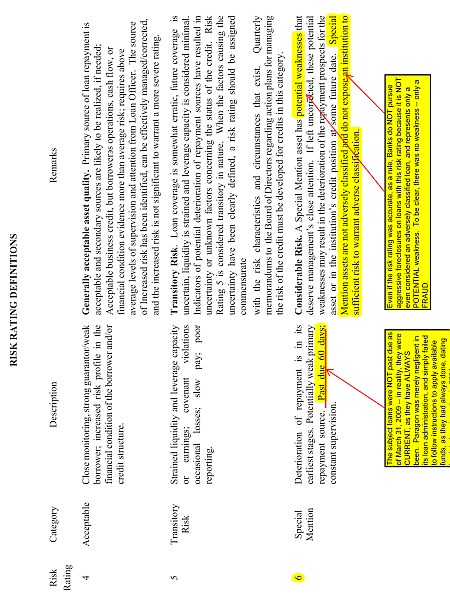 Refer Figure 11 at the end of this Exhibit for the Bank Regulatory Definition of a risk rating of 6, along with appropriate comments. 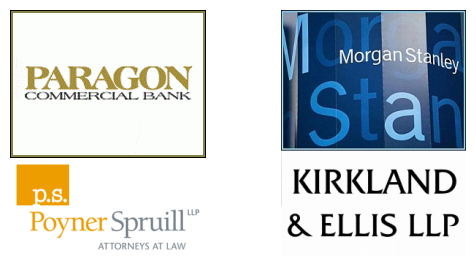 Loans in monetary default that a bank is aggressively pursuing foreclosure are highly leveraged and typically risk-rated 9 – in the case of Mr. Young’s loans, nothing could have been further from the truth, and confirmed by Paragon’s own risk ratings. Foreclosure is always an action of last resort, and before foreclosure is even considered, reasonable efforts are made by the bank to amicably resolve or otherwise workout a mutually acceptable modification to a loan that is delinquent. 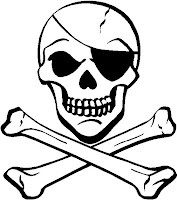 Not only did Paragon NOT make any such overture – Mr. Young’s loans were NOT THEN, and NOR EVER were delinquent! CONCLUSION: The Classified Loans Report for Paragon Commercial Bank as of March 31, 2009, in the context of the other overwhelming evidence submitted herein, CONFIRMS BEYOND ALL DOUBT, that the Perpetrators, to wit – Messrs. Hatley, Hoose, Warren, Cahill, Davis and Borden as agents for the Paragon Commercial Bank and Poyner & Spruill engaged in CRIMINAL FRAUD, are now exposed to SIGNIFICANT DAMAGES, and should be prosecuted to the fullest extent of the law. 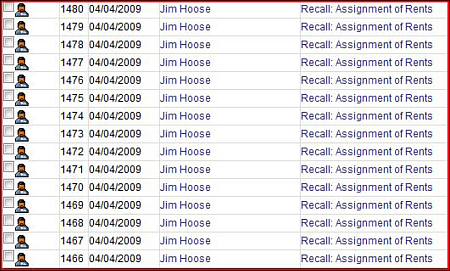 The Perpetrators are well aware their own inadvertently sent report spells “CURTAINS” for them, which explains why Jim Hoose tried to hack into Mr. Young’s email systems to retract it 31 minutes after he sent the original subject email. 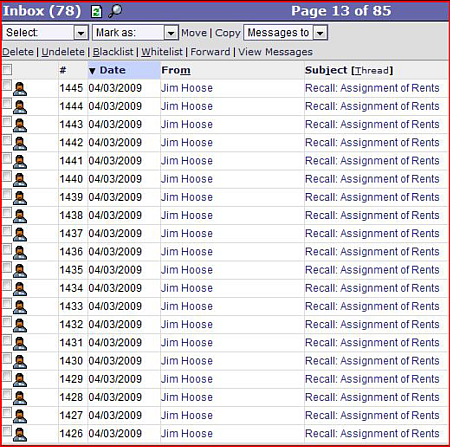 Below (Figure 5) is the first of Jim Hoose's 180 attempts made to recover this inadvertently sent document OVER A THIRTY HOUR TIME PERIOD !! 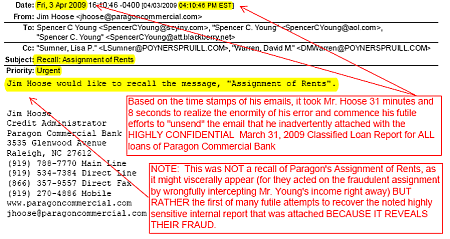 Below, in Figure 6, is the first of 4 email screens listing the initial email titled “Assignment of Rents” which included the confidential Classified Loans Report as an attachment and the first of many attempts to “un-send” or otherwise recall it. 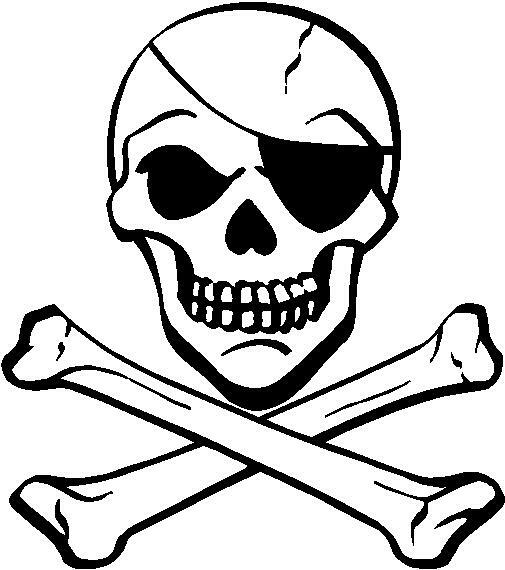 Figure 8. Third screen listing continued attempts to recall the subject email. Figure 9. 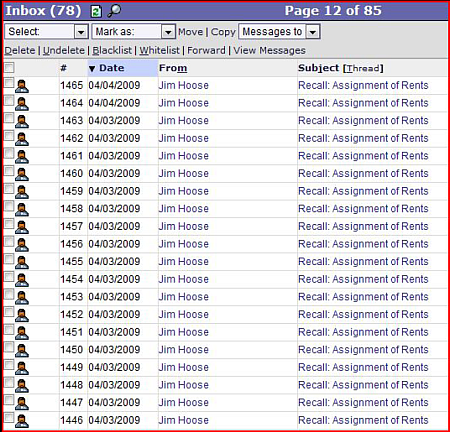 Fourth (and last) screen listing attempts to recall the subject email. as of March 31, 2009 ! !